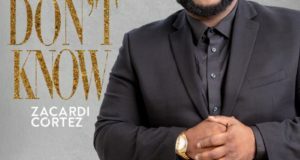 On their latest single, “Calvary’s Cross,” Minister David Whitfield II & Whitfield Productions raise aloft the standard of expansive contemporary choir singing established in part by David’s uncle, the late Maestro Thomas Whitfield. 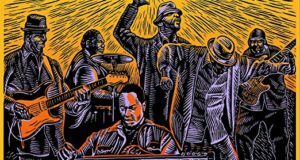 This call-and-response piece on the cleansing power of Jesus’s death on the cross is produced by Pastor Rudolph Stanfield Jr., another towering giant of Detroit gospel. Thunderous singing, thick harmonies, and melancholy instrumentation rise toward the conclusion like the ascent to Calvary. 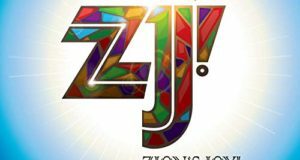 Whitfield Productions can trace its founding to a May 18, 2001, concert at Faith Tabernacle Church in Highland Park, Michigan, and a group of 30 family and friends who came together to sing. First called Whitfield Family & Friends, the group later adopted the name David Whitfield & Whitfield Productions. Their first live recording, It’s Gonna be Alright, was released in 2003. I enjoyed the review you gave to Min. 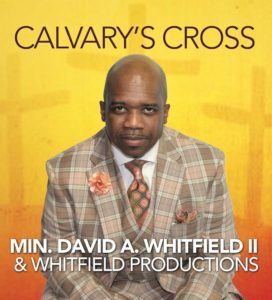 David Whitfield and Whitfield Productions new single Calvary’s Cross. I have always enjoyed your reviews you have to my artists in the past. Much blessings to you Bob.